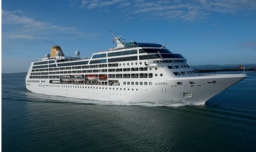 Take a Cruise, Save the World: Will Millennials Buy Social-Justice Tourism? For many people, acting conscientiously on vacation means using the hotel towel more than once. But there’s no reason for correct-thinking tourists to leave their values at the bathroom door. Want to spend your holiday teaching English, saving turtles or planting trees? There’s a socially responsible vacation package for you. Businesses have developed a new vocabulary for this market: ecotourism, voluntourism, even pro-poor tourism. Carnival on Thursday used its preferred term—social-impact travel—at an event introducing what might be an unlikely venue for ethical vacationers: the cruise ship. The biggest player in an industry long criticized for generating pollution, avoiding taxes, and minimizing wages will soon launch a new (and deliberately uncapitalized) brand called fathom. It’s part of an effort to lure younger vacationers who want to combine a week of all-you-can-eat dining with the opportunity to help others.